استنتاج شبکة تنظیم‌کنندة ژن (GRN) با استفاده از داده­های بیان ژن، برای درک وابستگی و نحوة تنظیم ژن‌ها، درک فرآیندهای زیست­شناسی، نحوة رخداد فرآیندها و همچنین جلوگیری از وقوع برخی فرآیندهای ناخواسته (بیماری)، حائز اهمیت است. ساخت صحیح GRN، نیازمند استنتاج صحیح مجموعة پیش­بینی­کننده­ است. به‌طور کلی، مهم‌ترین محدودیت برای استنتاج صحیح مجموعة پیش­بینی­کننده، حجم عظیم ژن­ها، کم بودن تعداد نمونه­ها و امکان نفوذ نویز در داده­های بیان ژن است؛ بنابراین، ارائة روش­هایی کارا برای استنتاج پیش­بینی کننده­ها با قابلیت اطمینان بالا، یک نیاز جدی است. در این مقاله، با استفاده از الگوریتم جستجوی گرانشی(GSA)، یک روش کارا برای استنتاج مجموعة پیش‌بینی‌کننده­ ارائه شده است. به‌ازای هر ژن هدف، یک الگوریتم GSA برای استنتاج زیر‌مجموعة پیش‌بینی کنندة آن ژن استفاده ­شده است. در هر جمعیت، یک جرم نشان دهندة زیر‌مجموعة پیش‌بینی کنندة مرتبط با آن ژن هدف است. جمعیت اولیه به‌ازای هر ژن هدف، براساس ضریب همبستگی پیرسون تولید می­شود. برای هدایت الگوریتم GSA، از معیار ارزیابی میانگین آنتروپی شرطی (MCE) استفاده شده است. نتایج تجربی حاصل از اعمال این روش روی داده­های زیست‌شناسی نشان می­دهد که، روش پیشنهادی دقت بالایی برای استنتاج مجموعة پیش­بینی­کننده دارد. به‌علاوه، نتایج روی داده­های زیست‌شناسی با مقیاس کوچک و بزرگ نشان می­دهند که، میزان دقت روش پیشنهادی برای استنتاج GRN بیشتر از روش­های مشابه است. The inference of Gene Regulatory Network (GRN) using gene expression data is significantly important in order to understand gene dependencies, regulatory functions among genes, biological processes, way of process occurrence and avoiding some unplanned processes (disease). The accurate inference of GRN needs the accurate inference of predictor set. Generally, the main limitations of the predictor set inference are the small number of samples, the large number of genes and also the possibility influence of noise in gene expression data. Hence, providing efficient methods to infer predictor set with high reliability is a serious need. In this paper, an efficient method is proposed to infer predictor set using Gravitational Search Algorithm (GSA). A GSA is used for each target gene to infer the predictor subset of the gene. In a population, a mass represents a predictor subset of the associated gene. The initial population per target gene is generated by Pearson Correlation Coefficient (PCC). In order to guide the GSA, Mean Conditional Entropy (MCE) is used as the assessment criterion. Experimental results show that the proposed method has a good ability to infer the predictor set with high reliability. In addition, we also compared the proposed algorithm with a recent similar method based on genetic algorithm. Comparison results reveal the advantage of the proposed algorithm on biological datasets with small data volumes and large network scales. Voet, D., J.G. Voet, and C.W. Pratt, Fundermentals of Biochemistry: Life at the molecular level. 2006. Balkenhol, N., S. Cushman, A. Storfer and L. Waits,Landscape Genetics: Concepts, Methods, Applications. 2015: John Wiley & Sons. Cox, M.M., Lehninger principles of biochemistry. 2013: Freeman. Jones, B., Gene expression: Layers of gene regulation. Nature Reviews Genetics, 2015. 16(3): p. 128-129. Abrahams, E. and M. Silver, The case for personalized medicine. Journal of diabetes science and technology, 2009. 3(4): p. 680-684. Ginsburg, G.S. and H.F. Willard, Genomic and personalized medicine: foundations and applications. Translational research, 2009. 154(6): p. 277-287. Hori, M., J. Shibato, T. Nakamachi, R. Rakwal, T. Ogawa, S. Shioda and S. Numazawa, Two-color Dye-swap DNA Microarray approach toward confident gene expression profiling in PMCAO mouse model for ischemia-related and PACAP38-influenced genes. Genomics Data, 2015. 3: p. 148-154. Velculescu, V.E., L. Zhang, B. Vogelstein and K. Kinzler,Serial analysis of gene expression. Science, 1995. 270(5235): p. 484-487. Ray, S.S., S. Halder, and D. Bhattacharyya, HD-RNAS: hierarchical database of RNA structures. 2009. Sîrbu, A., M. Crane, and H.J. Ruskin, EGIA–evolutionary optimisation of gene regulatory networks, an integrative approach, in Complex Networks V. 2014, Springer. p. 217-229.
 da Rocha Vicente, F.F. and F.M. Lopes, SFFS-SW: A Feature Selection Algorithm Exploring the Small-World Properties of GNs, in Pattern Recognition in Bioinformatics. 2014, Springer. p. 60-71. Shmulevich, I. and E.R. Dougherty, Genomic signal processing. 2014: Princeton University Press. Lin, P.-C.K. and S.P. Khatri, Logic Synthesis for Genetic Diseases. 2014: Springer. 93-95. Marbach, D., J. Costello, R. Küffner, N. Vega, R. Prill, D. Camacho, K. Allison, M. Kellis, J. Collins and G. Stolovitzky,Wisdom of crowds for robust gene network inference. Nature methods, 2012. 9(8): p. 796-804. Dougherty, E.R., The fundamental role of pattern recognition for gene-expression/microarray data in bioinformatics. Pattern Recognition, 2005. 38(12): p. 2226-2228. Emmert-Streib, F., G. Glazko, and R. De Matos Simoes, Statistical inference and reverse engineering of gene regulatory networks from observational expression data. Frontiers in genetics, 2012. 3: p. 8. Chai, L.E., S.K. Loh, S.T. Low, M.S. Mohamad, S. Deris and Z. Zakaria, A review on the computational approaches for gene regulatory network construction. Computers in biology and medicine, 2014. 48: p. 55-65. Lopes, F.M., D.C. Martins Jr, J. Barrera and R.M. Cesar Jr,SFFS-MR: a floating search strategy for GRNs inference, in Pattern Recognition in Bioinformatics. 2010, Springer. p. 407-418. Lopes, F.M., D.C. Martins, J. Barrera and R.M. Cesar,A feature selection technique for inference of graphs from their known topological properties: Revealing scale-free gene regulatory networks. Information Sciences, 2014. 272: p. 1-15. Lopes, F.M., S.S. Ray, R.F. Hashimoto and R.M. Cesar, Entropic Biological Score: a cell cycle investigation for GRNs inference. Gene, 2014. 541(2): p. 129-137. Jafari, M., B. Ghavami, and V.S. Naeini. An information gain approach to infer gene regulatory networks. 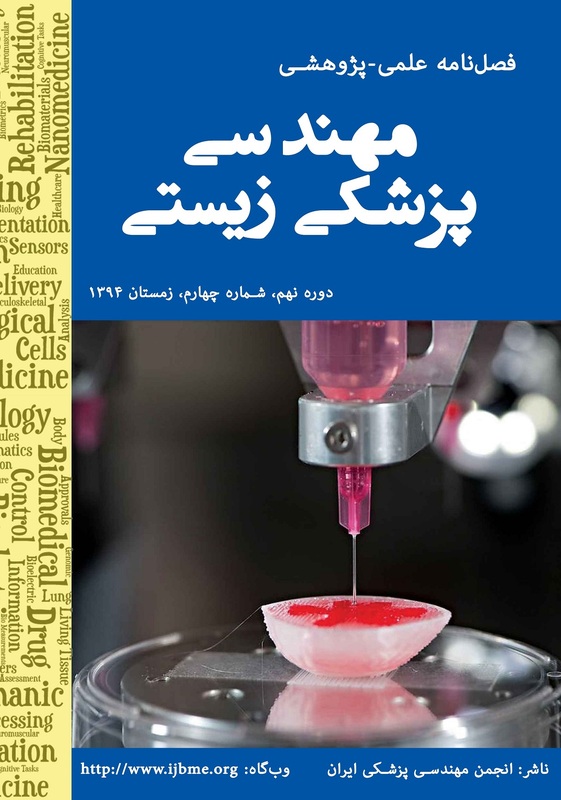 in 2015 22nd Iranian Conference on Biomedical Engineering (ICBME). 2015. IEEE. Mendoza, M.R., F.M. Lopes, and A.L.C. Bazzan. Reverse engineering of grns: An evolutionary approach based on the tsallis entropy. in Proceedings of the 14th annual conference on Genetic and evolutionary computation. 2012. ACM. Jimenez, R.D., D.C. Martins-Jr, and C.S. Santos, One genetic algorithm per gene to infer gene networks from expression data. Network Modeling Analysis in Health Informatics and Bioinformatics, 2015. 4(1): p. 1-22. Showkat, D. and M. Kabir. Inference of genetic networks using multi-objective hybrid spea2+ from microarray data. in Cognitive Informatics &Cognitive Computing (ICCI* CC), 2013 12th IEEE International Conference on. 2013. IEEE. Lee, W.-P. and Y.-T. Hsiao, Inferring gene regulatory networks using a hybrid GA–PSO approach with numerical constraints and network decomposition. Information Sciences, 2012. 188: p. 80-99. Rashedi, E., H. Nezamabadi-Pour, and S. Saryazdi, BGSA: binary gravitational search algorithm. Natural Computing, 2010. 9(3): p. 727-745. Rashedi, E., H. Nezamabadi-Pour, and S. Saryazdi, GSA: a gravitational search algorithm. Information sciences, 2009. 179(13): p. 2232-2248. Wang, J., Pearson Correlation Coefficient, in Encyclopedia of Systems Biology. 2013, Springer. p. 1671-1671. Lopes, F.M., D.C. Martins, and R.M. Cesar, Feature selection environment for genomic applications. BMC Bioinformatics, 2009. 10(1): p. 285. Aghdam, R., M. Ganjali, and C. Eslahchi, IPCA-CMI: an algorithm for inferring gene regulatory networks based on a combination of PCA-CMI and MIT score. PloS one, 2014. 9(4). Dougherty, E.R., Validation of gene regulatory networks: scientific and inferential. Briefings in bioinformatics, 2011. 12(3): p. 245-252. Li, C. and J. Zhou, Parameters identification of hydraulic turbine governing system using improved gravitational search algorithm. Energy Conversion and Management, 2011. 52(1): p. 374-381. Hassanzadeh, H.R. and M. Rouhani. A multi-objective gravitational search algorithm. in Computational Intelligence, Communication Systems and Networks (CICSyN), 2010 Second International Conference on. 2010. IEEE.